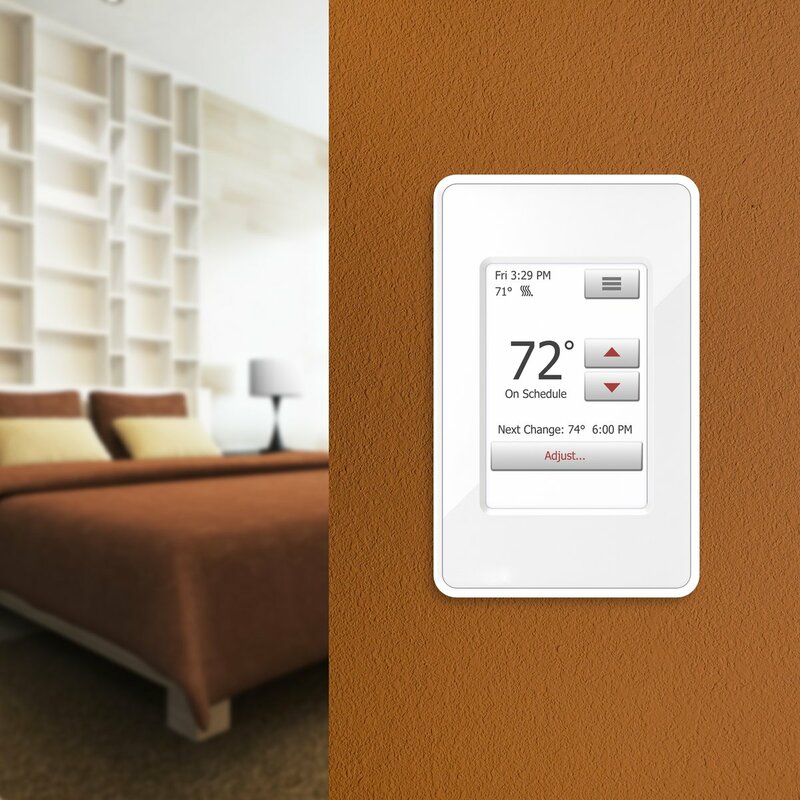 When you’re the one footing the bill, why would you let anyone else control the thermostat? Well, if you have kids, you understand why. For them, the temperature is always set too high in the summer and too low in the winter, so they take it upon themselves to fix the issue. In the end, they’re perfectly comfortable year-round, but you’re stuck paying way more than you’d budgeted for. Finally, there is a way to keep your heating costs in check. Tap the Menu button in the top right corner of the home screen. Tap the User Settings button. Tap the Child Lock button. Choose whether to turn Child Lock on or off. Then confirm your choice by pressing the check mark button. Once the child lock feature has been activated, you’ll need to know how to get past it yourself! The “password” you need to know is actually a finger-drawn letter, similar to the password drawings that some cell phones and laptops have today. When the child lock feature is on, the thermostat’s home screen will show three adjacent dots with circles around them. To unlock the home screen, you’ll have to draw an uninterrupted letter “L” by dragging your finger from the upper left dot down to the lower left dot and ending at the lower right dot. If done correctly, the home screen will appear. By keeping your thermostat under your control — and not your kids’ — you’ll save yourself a lot on your heating and air conditioning bills. But did you know you can save even more by switching from forced air to radiant heat? By strategically installing radiant floor heat or radiant panels around your house, you can arrange it so that you’re only heating certain rooms when you’re in them. As a result, you’ll save money on your heating bill. According to Bob Vila, radiant heat is up to 30 percent more efficient than forced-air heating! Forced air is prone to uneven heating and leakage through the ductwork, which wastes a lot of energy. Radiant heat, on the other hand, is not susceptible to leakage because it doesn’t use ductwork. Instead, it heats via direct contact with people and things. This means you’ll feel warmer even when the thermostat is set lower. That perk leads to even more energy savings! operate a radiant floor heating system in that room. Think about it. If you’re only in your bedroom overnight and you’re only in your master bathroom in the morning to shower, wouldn’t it be great if you could only heat these areas when you’re in them? By closing off the heating vents and installing radiant floor heat, you can program the system to turn on and off according to your daily routine. According to WarmlyYours’s Operating Cost Calculator, it would cost less than $1 a day to heat a 10- by 10-foot bedroom for 12 hours. Alternately, it would cost less than a quarter a day to heat a 50-square-foot bathroom for 4 hours. To calculate how much it would cost to heat a room in your home, check out the Operating Cost Calculator here. By keeping your thermostat out of your kids’ hands and using radiant heat strategically, parents can keep a little more money in their pockets. At least for now!